Savaii is one of the very few places you can get up close to a green turtle. The turtles at Satoalepai's Swimming with the Turtles attraction are hand fed and are not afraid to be near humans if you get into the pool with them; alternatively they are clearly visible from the edges. Green turtles are protected in Samoa and the Samoan Fishing and Environmental Ministries oversee their welfare, including tagging and releasing larger turtles. 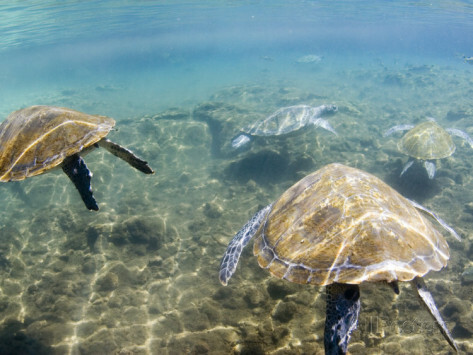 Swimming with the Turtles is within an easy travelling distance of all of the Sunshine Coast beach fales and resorts. Take plenty of water and make sure you wear a hat and sunscreen.